Good morning surfers! 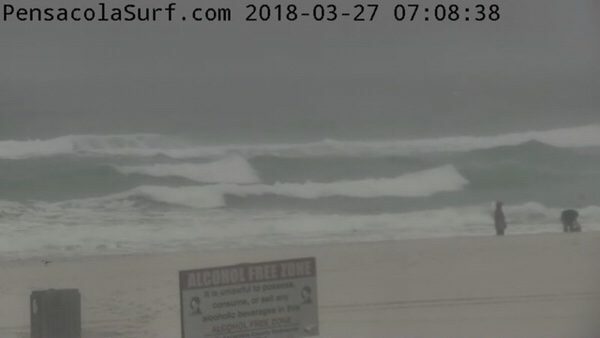 We have more waves today in the waist to chest high range with bigger sets. Winds are blowing 20-25 mph from the East Southeast causing more disorganized drifty and choppy conditions today than yesterday. If you can find shelter, you may be able to find some fun waves. The tide was low at 6:22 am and will be high at 8:49 pm. The water temperature is around 68 F. Have a great day!